I have owned quite the plethora of electronics in my life. A commonality between most of these devices' screens is frozen or dead pixels. This is probably the most annoying thing about buying new hardware—your LCD, or worse, LED display has one or more pixels that continues to stay lit. Most of the time, this will appear in the form of a brightly colored pixel that never changes, or a pixel that never displays the right color. Once you notice it's there, you just can't stop staring at it. 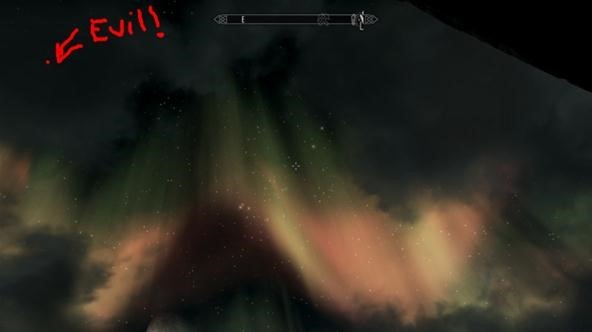 It mocks you when your entire display lights up like a fireworks show while viewing a night sky in Skyrim. There are loads of methods for fixing stuck pixels, but no one tells you that some pixels can't be fixed, or why. 95% of pixels can be fixed, but there is that other 5% that stops you from enjoying the beauty of your 60 inch LED display. These are mostly caused by broken transistors, which are impossible to fix (unless you think your soldering skills surpass those of a machine that puts the solder runs on PCBs). Today, Null Byte is going to offer both the common and lesser known methods for fixing stuck pixels, while debunking rumors and "guaranteed" fixes. There are a number of types of dead pixels, as well as ways to fix (or not fix) them. Let's take a look at the possibilities. Three sub-pixels make up one pixel—one for red, green and blue, respectively. Dark dots: These are caused by dead transistors. Unfixable. Portions of pixels are the wrong color or otherwise displayed improperly: A partial sub-pixel defect from the RGB film layer being cut improperly cannot be fixed. Bright dots: This is caused by a wonky transistor that allows light through all of the sub pixels, or none of them. Nothing is on the screen: This is caused by the monitor not being plugged in! Software is the first step to take when you want to fix a stuck pixel, because it is the least likely to dig your screen into a further hole of ugliness (it is still possible to damage it further this way). This method worked for two of my stuck pixels, and I have heard it works about 40% of the time. I would vouch for that, but some companies sell software and claim it fixes 95% of stuck pixels. This is a blatant lie. Download Stuck Pixel Sweeper. It's a Java program, so it works on all platforms! I would recommend running the software for 20 minutes, and if the pixel isn't fixed, run it for an hour. If that fails, move on. The high contrasts of the image might fix the pixel and allow light to pass through properly. This type of contrast method has also been known to slightly enhance image quality, which is trivial. I've seen it work, and I've seen it not work. A better alternative software, if you want to pay for it, is JScreenFix, another Java applet that flashes each pixel individually, 60 times per second. People will swear on their lives that hardware solutions like PixelTuneUp work. I am actually one of these people, after using one in a computer tech lab on a student's monitor. The results are breathtaking, and some hardware devices are even compatible with HDTVs. PixelTuneUp actually enhances video quality greatly and reduces the likelihood of ghosting or burning. It's easy to use, too. Plug the device into a VGA or DVI port, and let it run for 20 minutes. If the pixels can be repaired, this will likely fix it. 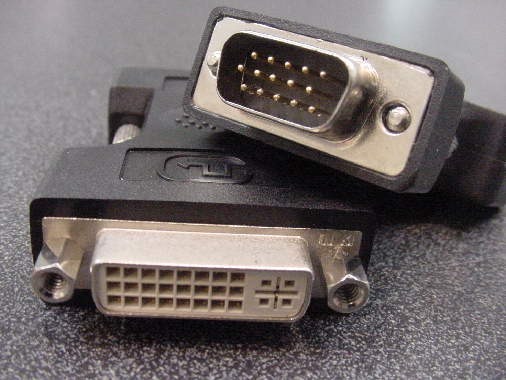 Image of DVI and VGA from right to left. This works much like the software method. The hardware sends specific signals and displays high contrast colors on opposing ends of the UV visible spectrum. This can make sub-pixels that are stuck display properly by stressing the pixels with extreme contrasts, and attempt to force the pixel to render them. I have heard hundreds of times that cloth methods work. They do not. The only circumstance that could possibly allow any of these silly methods to work would be if a transistor was loose and you somehow pressured the transistor so the solder run was complete again. I have also tried it myself, numerous times without prevailing. If you have an experience where this has worked for you, let me know! I'd love to know if it actually works for some people. The method is simple, however. Just tap the screen, gently, or apply pressure directly to the pixel with a soft cloth and it supposedly becomes "unstuck". Now, this doesn't mean the pixel doesn't get removed. I actually have seen it remove stuck pixels, but it doesn't fix anything—in fact, it actually breaks it more. You are just forcing liquid crystals outside of their proper place into another, so it will create a blending effect. Hey there, thanks for sharing this article! I have a cintiq monitor that arrived with an intense dead pixel problem upon arrival. I guess that is what I get for getting it refurbished... I'm going to try this out and hopefully it works. I'll tell you how it goes! On another note, I actually DID succeed using the poking the dead pixel until it goes away method. I got my Asus monitor with a dead pixel on arrival, brand new. Just one bright green pixel in the top right corner. I poked it a few times, and viola! Miracles of all miracles, it disappeared and hasn't come back since, four years later. The blue and red and green of that grid space were functioning normally again. I consider myself lucky. I just tried this on my monitor and it fixed within a few taps of my finger. It works! Cloth trick has worked for me. Had a few stuck pixels at the bottom of the screen after cleaning it, so I wrapped a screwdriver with a microfiber cloth and gave it a good jab. It's been just fine ever since. I bought a new 42 inch lcd led tv 2 days ago I know this isn't exacally a dead pixel situation. I believe they call it clouding but during dark scenes and dark space type movies you could see 3 large spots that where much brighter then the rest of the screen and just for the hell of it I decided to wipe the whole screen with the back of my hand and after doing so the bright spots vanished. It was like when you put a screen protector onto your phone and your chasing a bubble out.I had no idea what had happened so after that I did some research and discovered that what I had was called clouding and that rubbing it as I did could work. There appeared to be two sides, for some it worked for others it didn't work. I guess my point is if you heard that one method has worked for some people, then it could very well work in some cases so I would say before doing the software resolution in this article try massaging the screen 1st and then go from there.